Lonnie Johnson's having a good week. 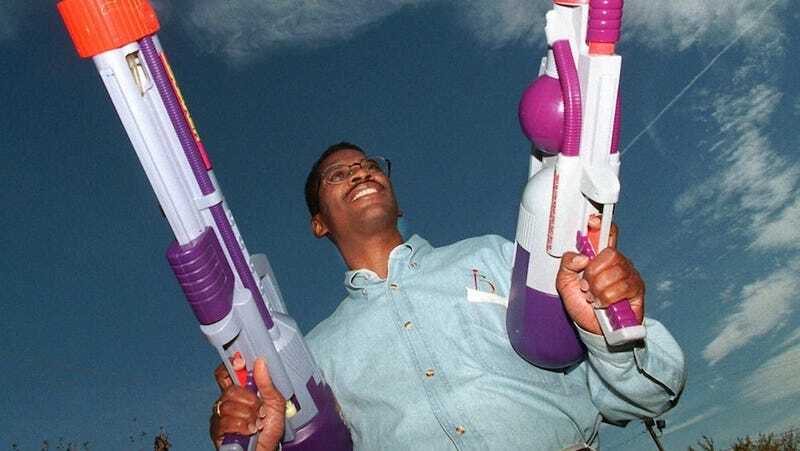 The former NASA engineer just won $73 million in a royalties dispute with the toymaker Hasbro for inventing the Super Soaker, the coolest toy you ever had growing up. The lawsuit also covered royalties for Nerf which Johnson also masterminded because he is awesome. This is a happy outcome for many reasons including the fact that Johnson is finally getting the credit he deserves for inventing some of America's favorite toys. Not only did Hasbro violate the royalties arrangement that they themselves agreed to, they did it for years and years, more or less swindling an inventor out of his hard earned reward. As if this giant corporation needed the money which amounted to just a tiny fraction of the profits that toys like Super Soaker and Nerf brought them.